We are a ministry of Creative Communicators called to intentionally engage global urban culture - primarily youth and young adults - with the Gospel of Jesus Christ by producing, translating, teaching and proclaiming God’s Word so all can understand. Our identity and call are founded on the belief that God’s Word is transformational and needs to be accessible and understandable to all people. From Matthew to Revelation - poets, pastors, parents and even children have read Scripture aloud over a hip-hop score so that anyone and everyone can understand and internalize God's Word. We praise God and proudly say that this was not a work done by the Streetlights team alone, this was in fact a work of God's global church body, for His glory alone. You can download, listen, share, and purchase the Streetlights Audio Bible on the Streetlights App and anywhere music is sold and streamed. 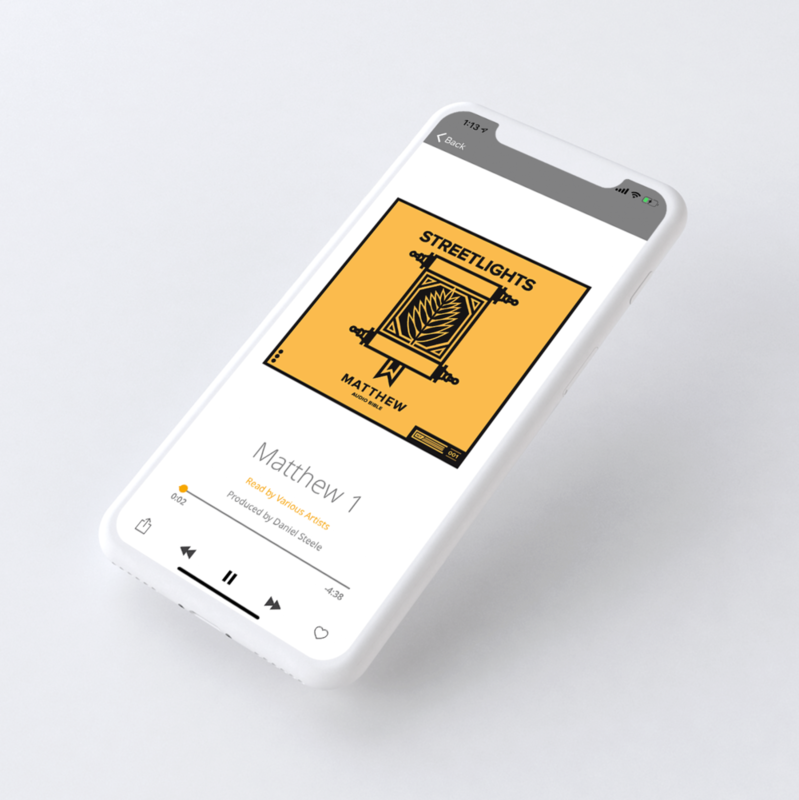 Listen to the entire New Testament Audio Bible and interact with all of Streetlights’ teaching, films and other creative communication tools on the Streetlights App. Available for iOS + Android mobile devices. "Portraits of Jesus Christ” is Streetlights first production efforts in recording the Psalms. The Psalms survey many key Gospel elements in its 150 chapters. From recounting the Lord's miraculous faithfulness to Israel, to poetically reflecting on the earth's beauty for God’s glory, to prophetically speaking about the Cross; the Psalms are our next project set to equip those whom we serve. We are beginning the audio translation efforts to read the Psalms word for word to a hip hop soundtrack using many voices, accents, artists and musicians to passionately make this treasured piece of Scripture accessible to the under-resourced and under-engaged. 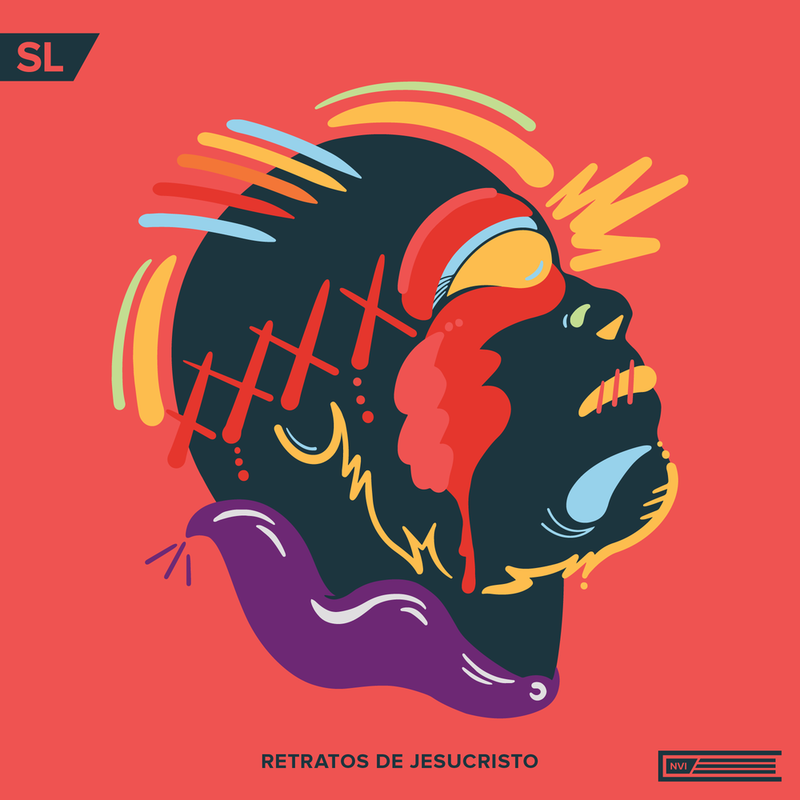 “Retratos de Jesucristo” is Streetlights first production efforts in recording the Psalms and entire New Testament in Spanish. Recorded on location in Barcelona, Spain and San Juan, Puerto Rico, “Retratos de Jesucristo” was read and recorded entirely by our Spanish Global team, led by Joan Arman. 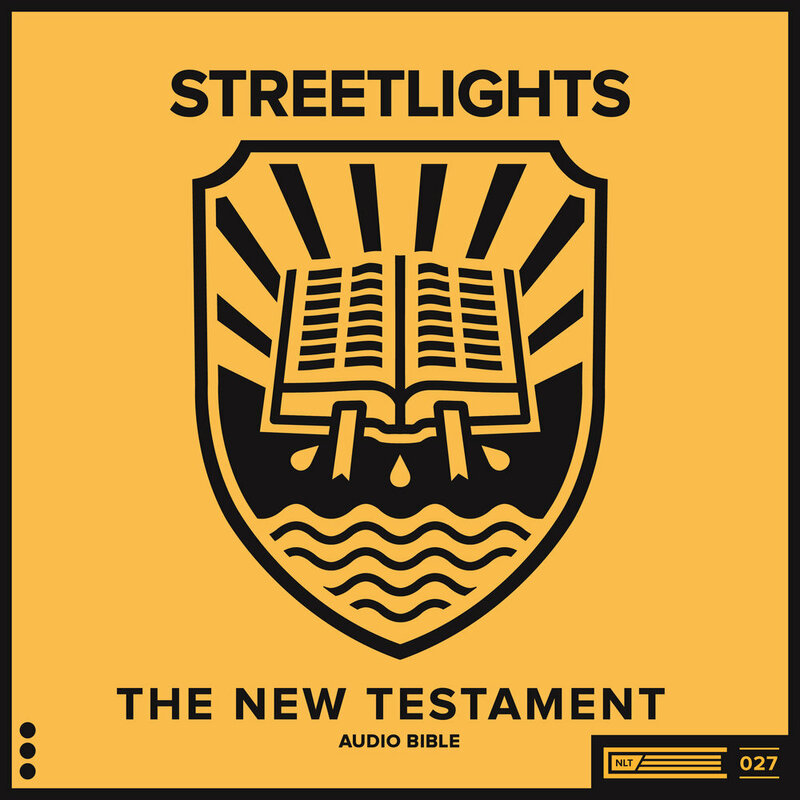 Producing the New Testament and the Psalms as a Streetlights Audio Bible would reach out to more than 22 countries and to one of the largest youth populations in the world. We pray these efforts with the power of the Holy Spirit can grip the hearts of Spanish speakers around the world and meet this growing youth population that is highly urbanized and digitally engaged. "Naatalu Yeesu Krist” is Streetlights first production efforts in recording the Psalms in the West African language of Wolof. Recorded on location in Dakar, Senegal, “Naatalu Yeesu” was recorded and co-produced by our Wolof Global team, led by Etienne Sene. Recording the Psalms in Wolof is essential because it provides a strategic approach for evangelism and discipleship among a majority Muslim practicing population in Dakar and Western Africa as a whole. This project would empower the Christian Church in Dakar, Senegal, a very influential metropolis to launch the Gospel more deeply into the Western African region. The Audio Bible, Film and Creative Teaching converge and take shape in our dynamic volumes of Multimedia Curriculum. Potent, compact, and relevant - Corner Talk pairs sharp and short devotional teaching with creative visual interpretation of scripture to chop up the Bible. We utilize the artistic expressions of Scripture, song, visuals, and preaching to clearly herald God’s Good News for all! It is a passion of our team to mobilize and disciple while we produce and proclaim. We want to mobilize Gospel communicators locally, nationally, and globally so that the reach of Christ goes beyond our staff. Every t-shirt, hoodie, pin, and patch that are purchased help support the finances required to keep Streetlights endeavors rolling! It’s one significant and tangible way to partner with us and help Produce and Engage our world with God’s Light! Your generosity empowers us to create and give generously. Generosity is central to our work at Streetlights, from the artists who generously give their talents, to people who generously give financially to the mission. By God’s grace Streetlights Bible is supported entirely by the generosity of others. Your financial gifts go right back into the production of our three lanes of ministry: producing God’s Word, proclaiming the Gospel of Jesus and multiplying Gospel communicators. Here is how you can support and be a partner with us at Streetlights Ministry.